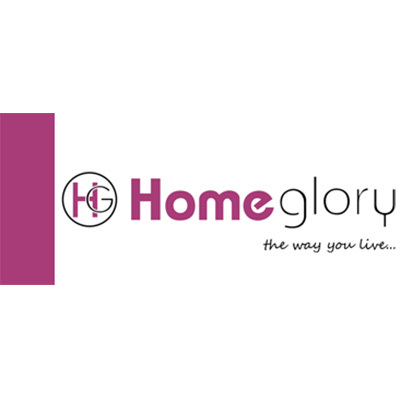 We Home Glory are a large scale professional home appliances importer with vast experience in development, manufacture & sales of Kitchen & Home Appliance Products. Our first class quality, advance technique, fashionable design and market foresight, profice deeper knowledge about the exact requirement of different types of users, motivating us to develop and introduce new products on regular basis. We believe in growth through Customers Satisfaction and welcome all our clients to come and cooperate with us in making a brilliant future. Minimum quantity for "Homeglory 1800W Dry & Steam & Spray Electric Iron HGI-107" is 1. Minimum quantity for "Homeglory Dry Iron HGI-101" is 1. Minimum quantity for "Homeglory Vaccum Cleaner HG-705VC" is 1. Minimum quantity for "Homeglory Standing Water Dispenser HG-808WD" is 1. Minimum quantity for "Homeglory MG-105 Force 3 Jar 700W Mixer Grinder (Grey/Yellow)" is 1. Minimum quantity for "Home Glory Explore Halogen Heater - (HG-QH505)" is 1. Minimum quantity for "Home Glory Halogen Heater Trendy (HG-QH503)" is 1. Minimum quantity for "Home Glory Halogen Heater Handy 1200w - (HG-QH501)" is 1. Minimum quantity for "Home Glory Hot & Cold Cola Bottle (SB-500L) - 500ML" is 1. Minimum quantity for "Homeglory Sleek Line Steel Vacuum Flask 350ml - (HG-WB-350)" is 1. Minimum quantity for "Homeglory Water Dispenser H&N Wonder 550W - (HG-806WD)" is 1. Minimum quantity for "Homeglory Water Dispenser H&N Delight 550W (HG-807WD)" is 1. Minimum quantity for "Home Glory Table Top Water Dispenser - Hot & Normal (HG-801WD)" is 1. Minimum quantity for "Home Glory Vacuum Cleaner (HG-704VC)" is 1. Minimum quantity for "Home Glory Electric Kettles RD (HG-601KR) - 6L" is 1. Minimum quantity for "Home Glory Electric Kettles RD (HG-501KR) - 5L" is 1. Minimum quantity for "Homeglory Electric Kettle 4Ltr (HG-401KR)" is 1. Minimum quantity for "Home Glory Electric Kettles Auto (HG-400EK) - 4L" is 1. Minimum quantity for "Home Glory 2 Jar Mixer Grinder Speedy (MG-107) -1100W" is 1. Minimum quantity for "Home Glory Mixer Grinder Dura (MJ-103) -550W" is 1. Minimum quantity for "Home Glory 650W Mixer Grinder Casto (MG-108) - 3 Jar" is 1. Minimum quantity for "Home Glory 550W 3 Jar Mixer Grinder Dyna (MG-102)" is 1.